Spring Mountain Motor Resort and Country Club completed a major milestone in moving to the next phase of its planned expansion in Pahrump. 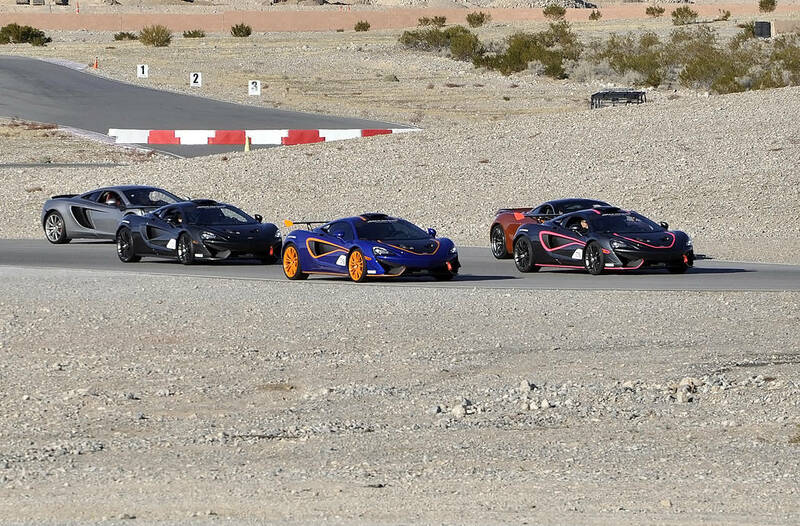 Horace Langford Jr./Pahrump Valley Times Spring Mountain Motor Resort and Country Club hosted a track day for British supercar maker McLaren on Jan. 26, 2018. The company was there to deliver 10 specially designed cars from its McLaren Special Operations division. Robin Hebrock/Pahrump Valley Times Already a well-known destination for adrenaline lovers, the Spring Mountain Motor Resort and Country Club is on the way to expanding on an additional 605 acres in order to grow its raceway. The track is pegged to be the longest across the globe. 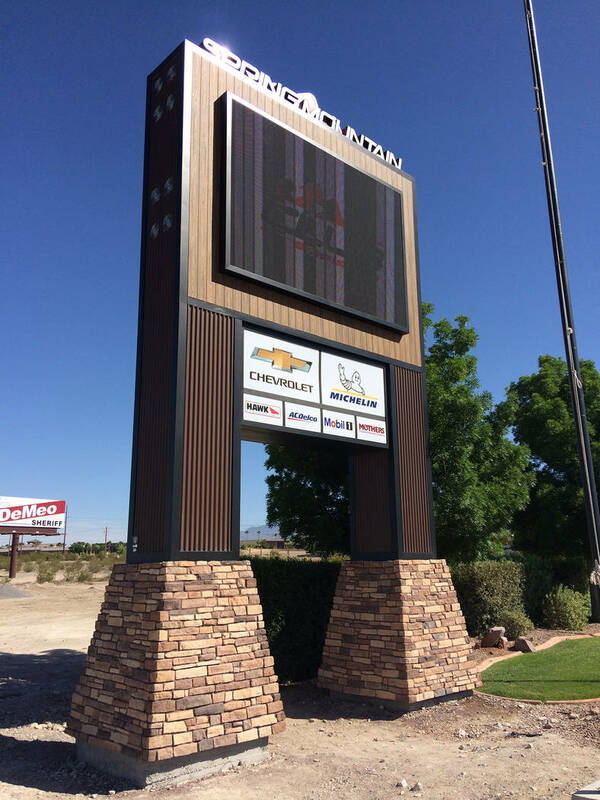 Horace Langford Jr./Pahrump Valley Times Spring Mountain Motor Resort and Country Club crossed a major milestone in its plan to expand its racetrack in Pahrump. Ownership at the race facility successfully bid on roughly 553 acres of land held by the U.S. Bureau of Land Management in January. 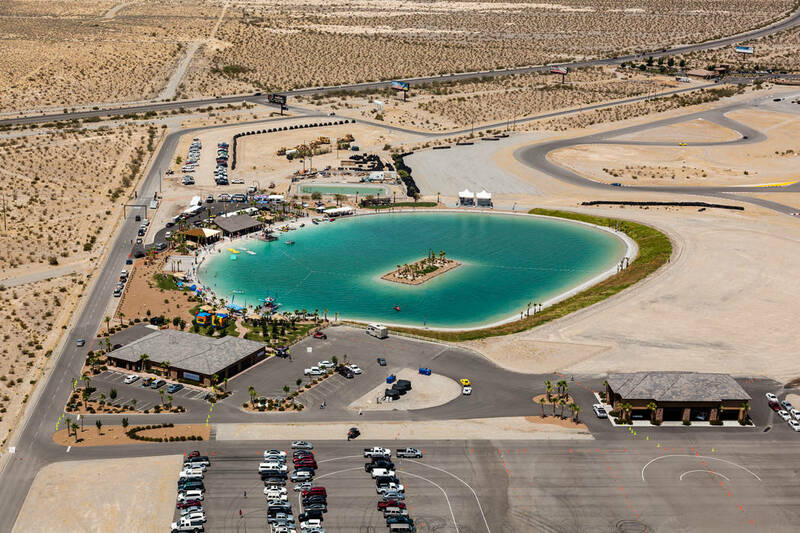 Special to the Pahrump Valley Times An aerial view of the four-acre lake at the Spring Mountain Motor Resort and Country Club. Spring Mountain Motor Resort and Country Club A rendering of the planned racetrack expansion plans at the Spring Mountain Motor Resort and Country Club in Pahrump. Marcus Villagran/Las Vegas Review-Journal Sports cars photographed at Spring Mountain Motor Resort and Country Club in Pahrump, Wednesday, Aug. 15, 2018. 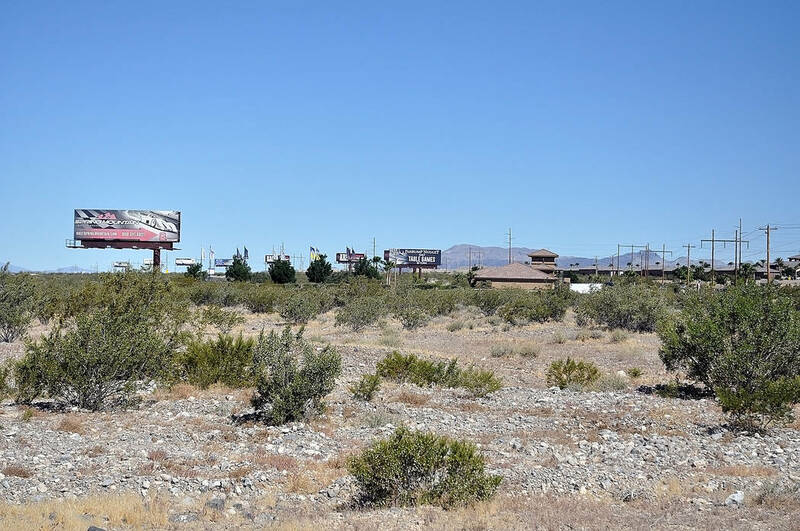 Spring Mountain Raceway LLC successfully bid on a 553-acre parcel held by the Bureau of Land Management adjacent to its current facility with a bid total of $1,257,000 in the first of two sales. The modified competitive sealed-bid sale, where Spring Mountain was the sole bidder, took place in the second half of January, according to information from the BLM. The sale was phase one of a two-part sale. The second phase of sealed bidding will occur Aug. 16-23 on 68 additional acres of land. The bids will be opened on Aug. 30. “Spring Mountain Raceway LLC paid 20 percent of the sale price on January 18, and has 180 days to complete final payment for the BLM to issue patent on the land,” according to Asselin. If both sales come to completion, that will add roughly 621 acres to the current facility. According to a news release from Spring Mountain, the additional 553 acres will give the facility a footprint of 866 acres. Spring Mountain is planning to make immediate improvements to the new property, starting with a 3.02-mile track extension, according to a news release from Spring Mountain. “With this addition, Spring Mountain can run more simultaneous track configurations and multiple long track variations for country club members, driving school operations, track rentals and corporate events, with the longest configuration estimated to total 9 miles in length,” the release stated. Phase two of a planned two-part extension of the racetrack will bring an additional 7 miles of new track. 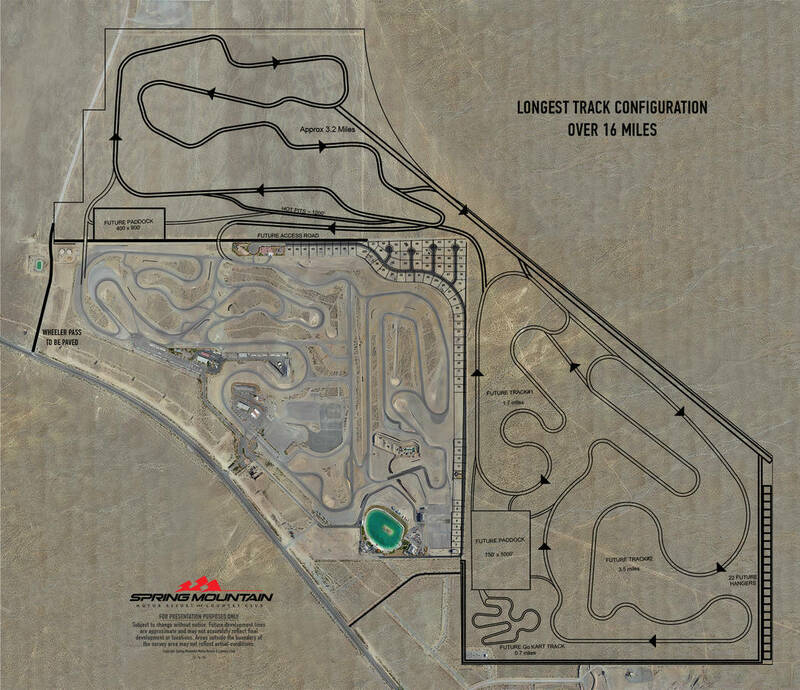 Once that occurs, Spring Mountain will be “home to the longest road course in the world,” the release stated. Wheeler Road, just adjacent to the race facility, will be paved “to accommodate a future entrance into the facility for spectators and track rentals,” according to the release. The track was founded in 2004 by partners John Morris and Brad Rambo. The facility not only contains a racetrack, but also a clubhouse, luxury condominiums, a freshwater lake and the Spring Mountain Estates, a housing development. 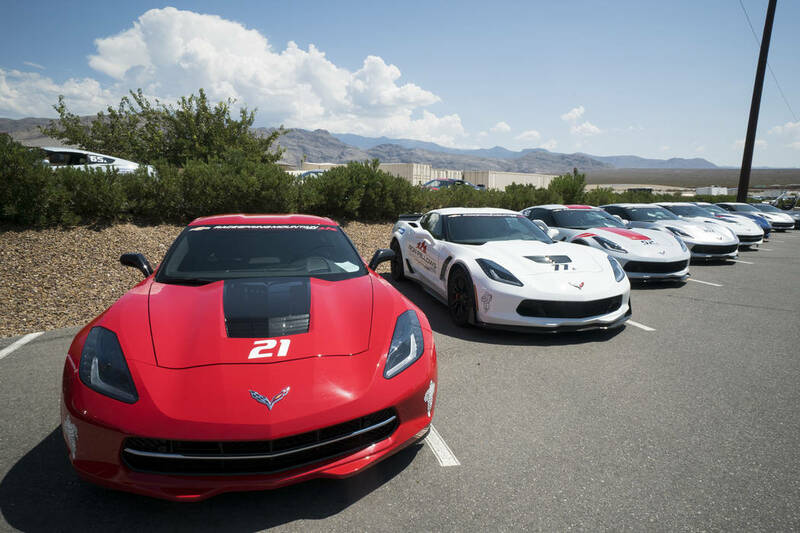 The facility’s services includes “performance driving instruction, track rentals, team-building activities, performance vehicle sales and more,” according to a news release from the facility. Go to racespringmountain.com for more information or call 800-391-6891 or 775-727-6363.